While there is debate as to whether or not now is the time to talk about gun control, I am sure that the authorities have not recovered all the bullet casings after an excruciating 72 minutes of gunfire. In fact, we are still learning about the lives lost. We are now learning names and faces, hearing stories of who they were and could have been. We know who the alleged shooter is and that he “planned extensively” with cameras. More guns have been recovered from additional sites associated with him. And in the wake of the shooting, Paul Ryan doesn’t plan to bring the gun silencer bill to the House floor. When the shooter suffers from mental illness, we discuss mental health. When the shooter claims allegiance to terrorism, we want persons to call it what it is. But, when a shooter target Americans from a hotel room with legally purchased automatic weapons, persons want to talk about increased hotel security and luggage screening. He used a gun but let’s not talk about that right now. While there is dispute and discussion about the meaning and potential meaningless of expressions that include “thoughts and prayers,” our hearts are in our throats. Sighs mixed with tears, I am not sure if there are words for such a tragedy. 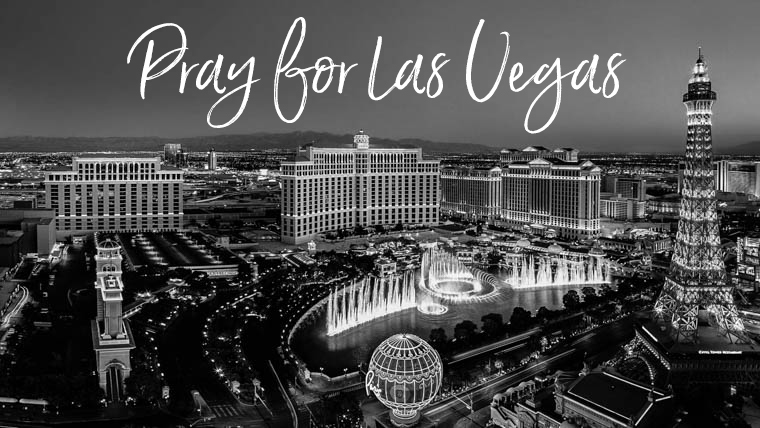 On Sunday, October 1, the deadliest shooting in modern U.S. history occurred in Las Vegas. The death count is unbelievable: 59 people dead and more than 500 people injured. But, we have heard this before: “deadliest mass shooting.” It was in Orlando at a nightclub just sixteen months before. We heard this before that. It was at Virginia Tech, a college campus. We heard it before that. The victims were small children and their teachers. It was Sandy Hook Elementary School. Mass shootings. The two words should not be found in the same sentence much less together. Let’s put our hands together and pray en masse with the hopes of keeping these two words apart.